Do you ever worry about what you should bring to an IEP meeting? 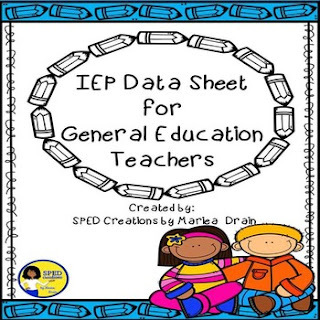 This free data sheet is an easy way for you to track data for your SPED students throughout the year. As a SPED teacher, I would love it if my general education teachers brought this form to an IEP or Re-evaluation meeting. This would be a great addition to any teacher’s assessment binder or data notebook.